Yes, I used the word fun to describe homework! Using this worksheet, students get to pick what homework projects they want to accomplish this week! 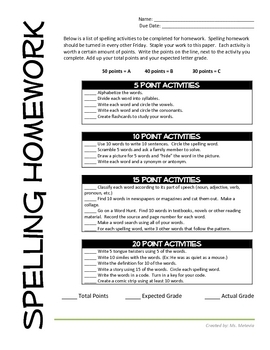 There are several different spelling homework ideas listed on this worksheet - each is given a point value. Students can choose whichever activities they want, as long as they complete 50 points!